This is a guest post from Tanya Valeva. Tanya is a Customer Care and Sales Associate at SashiDo, a mobile development platform that will help you execute your app’s idea without the hassle of configuring servers, managing databases or writing APIs. She loves interacting with people – being a good listener she will do her best to help you find a solution to a problem and will recommend the best thing for you. One of her biggest passions when out of the office is travelling, so in her free time if not reading a good book or experimenting with a new recipe, you will find her exploring new places with her loved ones. 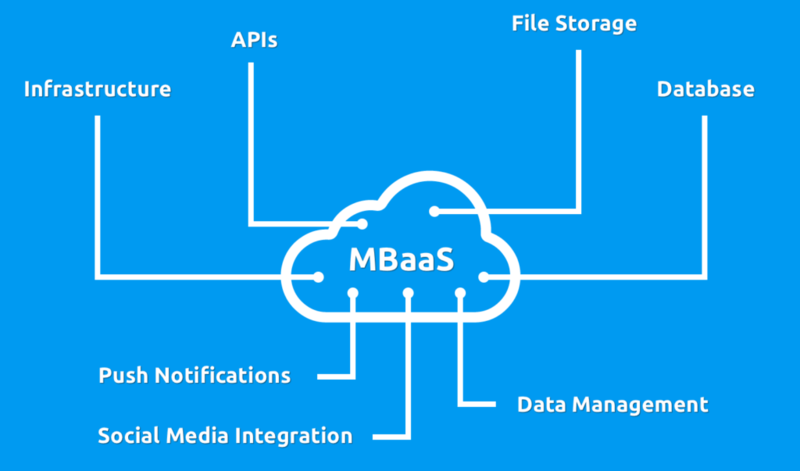 In this post we will learn what MBaaS is and how it can help your app or game business. Mobile app development can be tricky and difficult. So how would you feel if you know that you had the ability to create a backend for your mobile applications that was feature-complete in user management, data synchronization, push notifications support, business and third-party systems integration as well as microservices before you even have started working on the mobile experience? What if it was designed in such a way that you could create apps faster and invest less during the entire process? Developing a mobile application is a complex task. The process of deploying and testing requires time and money. Not to mention how fierce the competition in the mobile applications world is getting. There are thousands of really cool apps that don’t get the chance to be used at all. So mobile developers not only require reliable technology in order to succeed, but also they need access to certain tools and services that will ensure the duration of their projects. This is where MBaaS comes to the rescue. MBaaS has the potential to make things a lot easier for you. Let’s check out what exactly is MBaaS and what are its main benefits. Every mobile application consists of two main parts. The first one is the user experience which we can call “client side”. This is basically the App UI which the users interact with. Then, there is a back-end infrastructure that hosts the logic and database layers. We will call it “server side and back-end”. This is everything “below the surface” that your clients don’t see but without which they will not be able to enjoy your app. Most mobile applications are dependent on services such as APIs, deployment of the backend, user and data management, file storage, push notifications, social media integration and scalability. MBaaS is what hosts all these crucial services. It is the cloud computing architecture that provides mobile applications with access to all the resources they need to run. MBaaS empowers developers by completely abstracting the server-side infrastructure which lets them focus on delivering better user experiences instead of dealing with servers. So instead of setting up a cloud-based database, push-notification server and user-management system, which you would have to manage, you can simply go for an MBaaS provider, which will give all of this out-of-the box. And the list will go on depending on the complexity of your app idea. As you see there are quite a lot of things you will need to take care of before you even start working on the app itself. Opposed to this, if you decide to use MBaaS for this same project the picture will be quite different. With MBaaS everything on the server side is taken care of for you: you will never have to deal with configuring the server, setting up and configuring the database, setting up the service, managing users, securing data, setting up push notifications, etc. You will choose the best MBaaS provider and will create the app. You will include the native SDK in each application. So what conclusions can we make based on this example? Using MBaaS will save you at least a couple of weeks of development. Also it will save you from having to maintain and monitor servers. In short, one of the most important benefits that you will get will be reduced time to market for this prototype. There are many important factors that make MBaaS a good solution for building your apps. The cost of development is reduced to a great extent. Also as the platform is scalable, you pay for what you have used. Short development cycles that helps for the faster time to market. Focus on front-end development instead of back-end management. Easy integration of your application with different social networks. Out-of-the-box features: they can be easily integrated with your application. If you are wondering whether everything is so bright when speaking about MBaaS, the only thing that we can mention as a disadvantage will be the fact that you need to be careful when choosing your provider. With some of them, you may find it hard to migrate away to another provider at some later point. In case they have some specific implementations and you have set everything up, it is possible that with the new provider you will have to re-write most of the things again. But this should not be a big deal if you choose the provider wisely and make sure they don’t have a vendor lock-in. Who Should Consider using MBaaS? MBaaS can suit a wide range of projects- from independent developer’s apps to enterprise solutions across multiple digital properties. It is basically for everyone – mobile app or game developers working on their private projects will like it as much as big development studios making complicated clients’ ideas reality. Will MBaaS have an important role in the future of IoT infrastructure? MBaaS isn’t only for mobile app infrastructure anymore, shortly it may also manage IoT (Internet Of Things) apps and devices as well. The extremely growing interest in Internet of Things among enterprises is a good sign. The rapid increase of low-cost sensors, emerging standards, and networking protocols is speeding up IoT drive in sectors such as healthcare, manufacturing and retail. If we check it from the technical side, data generated by the sensors is not very different from existing mobile devices. However, the momentum is higher than that of mobile devices. So enterprises need a framework and a platform that will become the backbone for IoT. MBaaS platforms are logically the best candidates to support IoT use cases. They already have the core building blocks in the form of data stores, authentication, identity, and notification. MBaaS is all about helping every app idea to magnify by making it easy for developers to go further, faster and accomplish things that seemed hard to reach before. Its market is one of the fastest growing cloud services delivery models. We will be surely hearing about exciting things happening with MBaaS and it is definitely something worthy of giving a try! Are you using MBaaS in your apps? Which provider? Share your experience in the comments. Thank you in advance! Hello Tanya, great article and I like ypur perspective on the relevance of MBaaS. I would love to chat with you about a game I am working on and we can examine if MBaaS could be a solution for my mobile game.